Will we get there today? You must be sick of that by now! You’re probably also really good at it too! LOL Have you been taking car rides with us lately?!!! Whatis the blue tape for?? Inquiring minds want to know…. 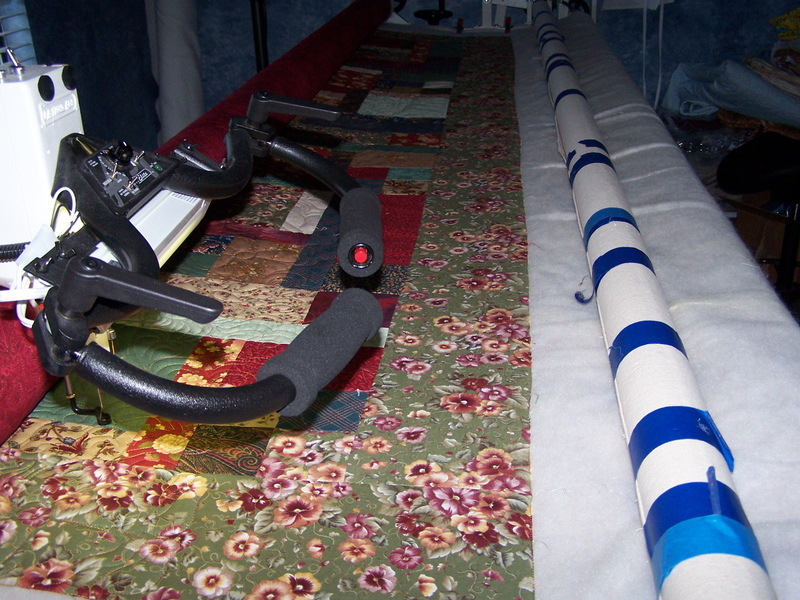 Is it custom quilting or a pantograph.? I sorted my pansies crate out last week and found I had 37 different colors in the border. I’m with Jan…what’s with the blue tape? That makes 2 inquiring minds!